Fortunately, gone are the days when a good credit history was the only way you could be approved for a new credit card account. Although a good credit report is a big plus for every individual, these days you can still get approved even if you have low credit scores or haven't yet established any credit history. This is a milestone that has likely provided relief for many, and this move by credit card issuers discriminates no one. You can now get almost instant approval for certain credit cards, which are approved within 24 hours in most cases after you submit your application. The application process for an instant approval card is shorter since the card issuer doesn’t cross-examine your credit history or even your employment status. Since your credit history is not considered when making the card approval, some of the instant approval credit cards will need you to deposit a certain amount of cash into your account as security before using the card. Others, however, may only require that you have a checking account. When the money in your account gets depleted, you won’t be able to use the card unless you refresh the account. Known as either prepaid or secured credit cards, these are one of the best ways you can build up your credit. When you use your prepaid or secured credit card responsibly, most of the issuers will report your activity to the three major credit bureaus so you will build credit history. Eventually some card issuers will upgrade you to a regular credit card that requires no cash deposit, just like other individuals. There are credit card companies that issue instant credit cards to individuals with all types of credit ratings- no credit, poor credit, fair credit and average credit. The cards are issued almost immediately after the application. Following are some of the best instant approval credit cards for every credit score that you can get issued to you almost instantly. This is among the best instant approval credit cards available for individuals without considering their credit rating or credit history. The application process is quite easy and the approval wait time is almost immediate. It comes with an initial credit limit of $500 for first applicants and depending on how responsibly you use the card and pay, it won’t take long before the limit is raised. The good thing to those people who commit to making timely payments, the payment activity is reported to the three credit agencies on a monthly basis. This creates an immediate opportunity for you to improve your credit report record from either bad to fair or fair to good depending on where your score is today. You can also access your account online to stay in control of all the transactions that you make. Furthermore, Surge MasterCard can be used in all locations where MasterCard is located. If your credit score is either bad or fair, then Fingerhut is ready to issue you with an instant credit card that you can use immediately. This credit card comes at a 29.99-percent annual rate, but it's not applied until 24 days after the end of each billing month, so if you pay your card off in full each month, you won't pay any interest. The card gives you a chance to increase your buying power by reporting all timely monthly payments you make to the three credit reporting agencies. To make it even easier for you, there are no application fee charges. Since no good credit history is needed and application fees do not apply, anyone can qualify and receive this credit card for their own use. This is a prepaid credit card that requires you to first deposit cash into your account before using it to make payment for any transaction. There is no credit check and the only thing required of you is ID verification, and then you are good to go. To add to this, there is no minimum balance required for the card to be issued or to remain in force. In case your balance is running low, an alert is at work to remind you that you need to top up your balance to continue enjoying the services. The same applies if the deposit you make is successful. The Visa Zero Liability policy ensures that your card is fully protected in case it gets lost or stolen. This means that you do not have to worry about how to recover your balance for a lost or stolen card. In terms of bill payment, you can actually pay your rent or any other bills online which is very convenient. However, there are monthly fees each member pays for using the card. This card gets approved without requiring your credit score at all. All you need to do is to deposit cash into your account and start paying bills. The prepaid version is most suitable for people with bad credit, damaged credit or without any credit history. It is a prepaid card rather than a credit card, but it is accepted everywhere you would use a regular Visa credit card. You can set the card up to accept Direct Deposit funds, such as your paycheck, which gives you access to your money faster than you get with a paper check. You can even have your tax refund deposited to your NetSpend account so you can use it immediately. Since Pink Netspend is not a credit card, there are no payments, late fees or credit card debt to worry about. You can also earn yourself cash-back rewards by signing up for the payback rewards. In addition, there are real-time message alerts to help you track your transactions. Lastly, you can enjoy managing your account from the comfort of your home by downloading and installing the mobile application on your cell phone. The Green Dot primor Secured Visa Gold Card by Green Dot is a type of secured credit card suitable for individuals with limited credit or no credit at all, with no minimum credit score requirement. There is no fee to apply or have your application processed, and once you submit an application, it is approved instantly and in no time you will be able to deposit money in your account and start making purchases. You can establish a credit line from $200 up to $5,000. With this card, you won't have any type of credit card debt which will automatically boost your credit score. If you keep putting money in your savings account and using your card, you will eventually receive a real credit card with a credit limit. This means you can make purchases using the credit card depending on your credit limit and pay for it at the end of every month without the need to keep cash on deposit. There is no credit history needed for your application to be approved. All you need is your personal information and you leave everything to the card issuer to finish the remaining part. If you use this card responsibly, you will be able to repair your damaged credit, because all payments that you make are reported to the credit agencies. There is no credit history or even minimum credit score required for your card request to be approved. Anyone who is willing to have it can have it without hassle. The application is basically online and thus it is time-saving. The application takes a very short time and can lead to an instant approval. You can quickly secure a credit line after paying a fully refundable deposit of between $200 and $2,000 which should be paid at the time of application. The good thing is that this money is refundable once you clear off your balance. You also have unlimited access to your account through the online portal. One can also use First Progress prestige secured MasterCard to pay for hotel accommodations, car rentals and just anywhere credit cards are accepted. The annual fee payable for using this card is $44. That is the only expense any member has to incur every year. Don't worry or get concerned about how your credit score is right now because with OpenSky secured visa credit card, there is no cross-examination of your credit history before your credit card request is approved. 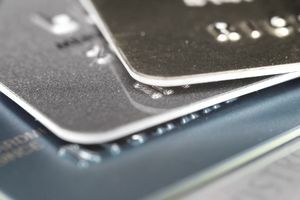 This card issuer believes that every person deserve a credit card and no one should be barred from getting one irrespective of their credit history or credit rating. Immediately after your application has been accepted, you can deposit a refundable deposit with the lowest amount being $200. The amount you deposit becomes your credit limit and upon payment, your deposit will immediately be refunded to your account. Since OpenSky reports all payments to the three credit reporting agencies, making timely payments can be a big plus for you and with time your credit score will quickly change and become better. Moreover, you can get yourself real tips on how to quickly improve your score by reading the tips provided on their website. The annual fees for using this particular credit card is $35 and the regular APR is about 18.14 percent although this is variable. This is another incredible credit card that gets approved instantly after you submit your application. You can just submit your application online and as soon the application is received, you only need to wait for a few hours and get your card. If you have bad credit or fair credit, you shouldn’t worry at all. You have no reason to hesitate to submit your application. Your bad credit is not an issue. It is not even considered. It comes with a 0 percent APR and the initial credit line is $500. Apart from all types of credit approval, your employment is also not checked. This means that every individual who wants to get this instant credit card can actually have it at any time. Another good point one should note with Horizon Gold Credit Card is that its credit limit is unsecured. Besides this, all your payments are reported to the credit reporting agencies and this can have a huge positive impact especially if your payments are made on time. The annual fee every individual is required to pay for this card is $24.95 and if you have plan membership benefits, they will be auto debited monthly. If you have been a victim of bad credit and you have been looking for a credit card issuer that does not consider your bad credit as a risk to their business, then Unity Visa Secured Credit Card is one of the best in the market. To start with, there is no application fee charged on new applicants who want to have this credit card. Secondly, all cardholders have 24/7 access to their account and can, therefore, monitor their spending habits in real time. At the time of submitting your application, you need to have a fully refundable FDIC-insured security deposit of at least $250. This will also act as your credit card limit. Upon making the first payment, your deposit will be fully refunded to your account. On the other hand, all the payments that you make will be reported to the credit bureaus. This can be a good approach if you are looking forward to enhancing your credit score. The card has a regular fixed APR rate of 17.99 percent and the annual fees is $39.